Qlik®, a leading name in visual analytics has collaborated as a key sponsor with the Indian Institute of Management (IIM), Bangalore for it’s third Business Analytics and Intelligence Conference (BAICONF). The conference will be organised at IIM Bangalore campus from December 17 to 19, 2015 where more than 250 attendees including researchers, academicians, industry professionals and students have been given the golden opportunity to present their research papers. Moreover, the attendees will also get a first-hand experience of Qlik’s visual analytics solutions portfolio. Primarily, Qlik is a global entity, headquartered in Radnor, Pennsylvania, with more than 1700 partners in 100+ countries. It delivers a platform approach to Business Intelligence and driving innovative decision-making for organizations by helping them visualize their data with its patented associative technology. Customers from around the world rely on Qlik to explore the hidden relationships within data leading to insights that kindle better ideas. 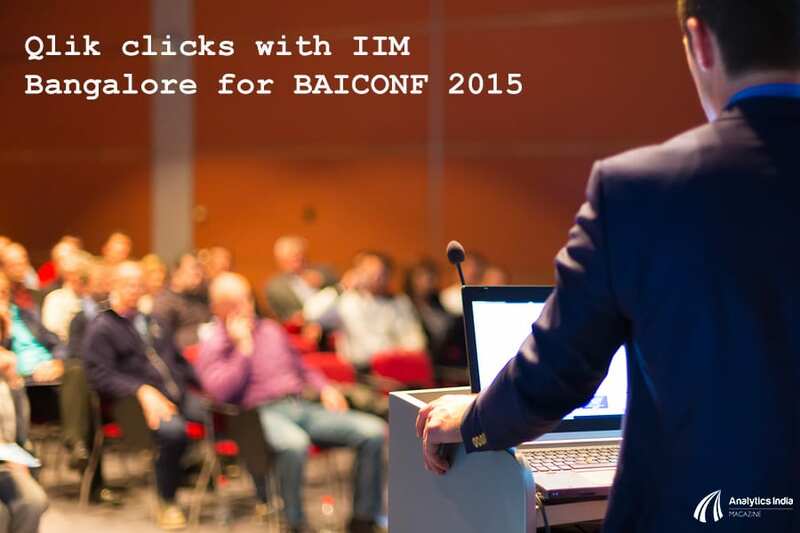 At BAICONF 2015, Qlik is planning to discuss ‘the importance of visual analytics in today’s competitive business landscape and how enterprises can leverage data effectively for insights, decisions and agility.’ Moreover,the participants will also get to listen to a speech by Souma Das, Managing Director, Qlik (India). Moreover, it is anticipated that the discussions would revolve around topics such as, advanced data analysis, business analytics, big data and business intelligence. Souma Das, Managing Director, Qlik India recognises BAICONF 2015 as an opportunity for senior executives and IT professionals in India, to not only learn new ways of harnessing data and simplifying their business decisions, but also helping organizations to compete and not just survive, in the ever changing Indian economy.